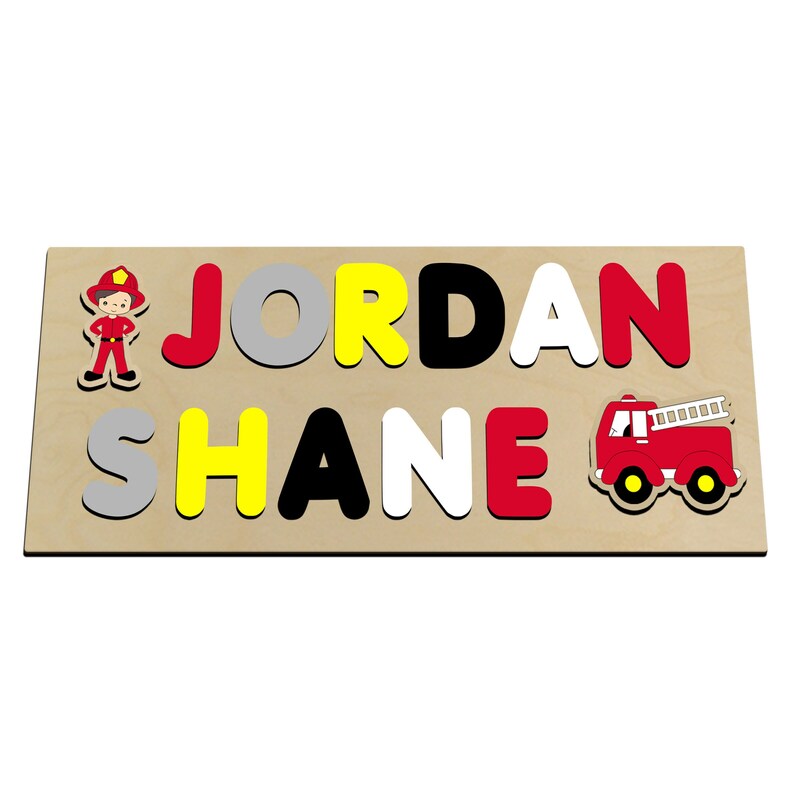 Our Fireman wood name puzzle is decorated with a fire man and his truck. The letters are painted to match the pieces. The colors are red, yellow, grey, white and black. This puzzle comes with up to two names and will hold 22 letters.